DOCU + CONVERSATION – On the 22nd of November, the Yugoslavia Tribunal pronounces its judgement in the Mladić-case. 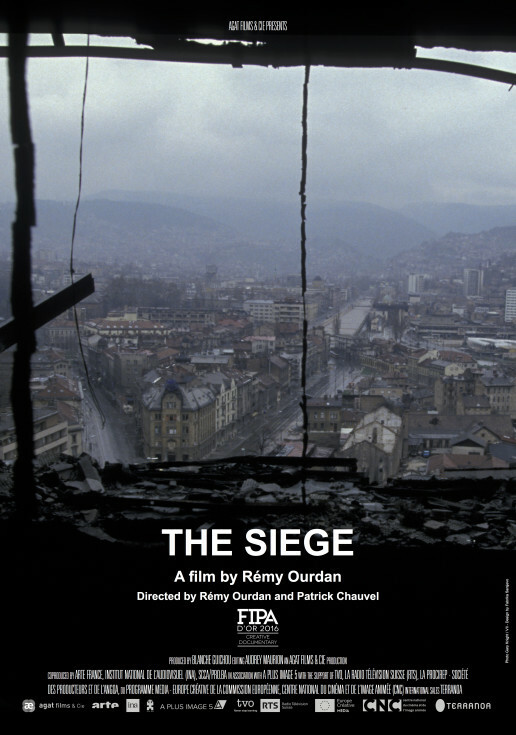 On the eve of the verdict, we screen the award winning documentary The Siege. This film masterfully captures the daily experiences of the residents of Sarajevo during the siege of their city. After the film, we talk with the film director Remy Ourdan, with co-director Patrick Chauvel and with Sarajevan co-executive producer Adnan Pavlovic. After the film, we talk with the film director Remy Ourdan. Former commander Ratko Mladić is accused, among others, of establishing and carrying out a campaign of terror against the civilian population of Sarajevo during the siege. The siege of Sarajevo, lasting from 1992 to 1996, was the longest siege of a capital city in the history of modern warfare. Utilising rarely seen archive footage, poignant interviews and astounding photography, The Siege presents a multi-layered and personal account of a vertiginous descent into war. As the city’s residents recall memories of everyday life under the blockade, history interweaves with personal testimony to create a humanising portrait of battle and resistance. For Sarajevans, their resistance was as much political, intellectual and artistic as it was military.